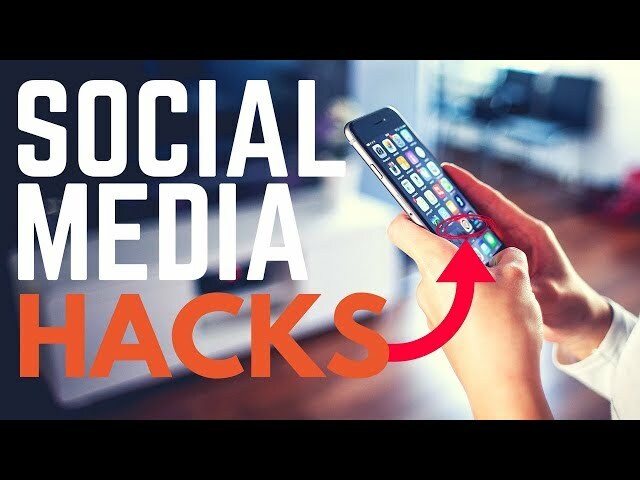 Get social media traffic organically, even if you don't have a ton of followers.►Subscribe: https://goo.gl/ScRTwc to learn more secret SEO tips. 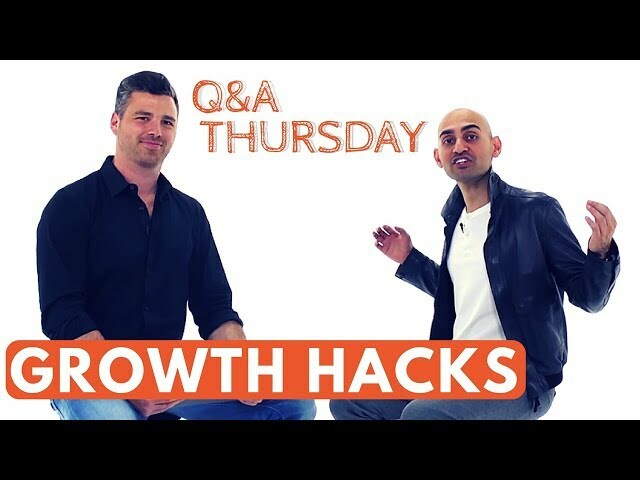 Hey everyone, I'm Neil Patel, and today I'm going to break down five underutilized social media hacks that'll get more traffic to your blog post. The first tip I have for you is to use Instagram to promote your blog post. Yes, a lot of people are using Instagram to promote products like teeth whitening, da ding, I think my teeth look white on this video, but no one's using Instagram to promote blog posts. We've tested this out a lot. What we found is, when you post images and tell people to go to your bio and click when it's related to educational information that helps them out, people are very likely to do that. If you tell people to go to your bio to buy a product, probably not going to do that. My second tip is using Snapchat and Instagram Stories to generate more traffic to your blog. Here's what I mean. Assuming you have over 10,000 followers on Instagram, you can do Stories, tell people to swipe up, right like if you ever follow Gary V., you always see you know icons or GIFs or images of him being like go up, swipe up, swipe up. And people swipe up, and they listen to his podcast or his blog post or whatever he has. It's a very effective strategy. The third tip I have for you is to leverage live video. So there's Facebook Live, there's YouTube Live, there's Instagram Live. When you're on these videos, you're going to get way more engagement. If you don't believe me, go on your Facebook and post a link to any website. It could be your website; it could be a blog post. You'll find that no one's going to click on it. You're going to get very little likes, very little shares, very little engagement. But if you did a live video on Facebook or YouTube or Instagram, you get a ton more engagement. Which also brings me to my next tip, which is use videos to promote your blog post. I'm not talking about just live videos, but you can also upload videos to Facebook or YouTube. Videos get way more engagement on Facebook and Instagram than let's say an image-based post or a text-based post. So when you create a video and you tell people, hey like I wanna teach you x, y, and z today, such as me teaching about social media, and then if I dropped in to say hey everyone, go check out this blog post or this URL here, you'll end up learning x, y, and z, and make sure you're using a shortened link. And last but not least, use Quora. Quora's one of the most popular sites on the web mainly in the English language. There are questions on every single topic for every single industry, whether it's B2B, B2C. Go on there, respond to people. When you respond to people with a paragraph or two, super in-depth, and then you link to them to your blog post that goes more in-depth on that topic, you can generate a lot of traffic. We used to do this all day long on Quora, and it generated us hundreds and thousands of views per month during our peak. Link building is so time-consuming, most people don't want to do it, but it's hard to rank without it. ►Subscribe: https://goo.gl/ScRTwc to learn more secret SEO tips. Read more on my blog: https://neilpatel.com/blog. Links. It's one of the most significant factors in Google's rankings. If you have a lot of links, it's easier to rank, if you have very few links, it's tough to rank. Hey everyone, I'm Neil Patel, and today, I'm going to teach you how to skyrocket your SEO by automating link building. If you think about link building, the hardest part about it is outreach, that's the most manual part of link building. In which you have to reach out to sites and convince them to link back to you, that's the part I'm going to teach you how to automate on this video. The first tip I have for you is to check out Dux-Soup. You're on Linkedin. If you're on Linkedin, Dux-Soup will make it, so it just visits a ton of people's profiles within your space or related to a specific category, and as it views it, a lot of people will start creating then requests, trying to connect with you and as you connect with them you can use Dux-Soup to send automated mass messages. When you're building all of these collections, and you're sending automated mass messages, especially to other people within your industry. You can send them messages to try to get links, and if you don't wanna get links, you can at least get social shares, passing these people to share your content on Linkedin, it's a really super simple way to get more Linkedin traffic, 'cause as you get more Linkedin traffic and more social traffic, what happens? More people see your content. The more people that see your content, the more likely you are to generate a link. And of course, I still prefer asking for a link directly but if you don't want to do that, at least ask them for a social share on Linkedin. The second tip I have for you is to use Scrape Box. What Scrape Box will do is it will scrape Google for all the relevant sites within your space. So let's say you just created an infographic about web design, you can use Scrape Box to find all the websites that talk about web design, and then from there, you now have a list of sites that you could be doing outreach to, to generate some links. Once you have a list of sites and domains to be going after, the third tip is using FindThatLead. When you use FindThatLead, it'll tell you the contact information for all of those domains. Because you don't want to have to go in each one of those sites and manually find their email address, you want to do it automatically. FindThatLead will give you that information so that way you can start mass messaging people to build more links. The last tip I have for you, and this comes to sending the email, it's to use Mixmax or Mailshake and what this will allow you to do is mass mail all those people that you just got contact information for 'cause you already have their domain, so that was the second tip, you already have their contact information that was the third tip, and the last step is emailing all of those people, and you can do that using Mailshake or Mixmatch and the cool part about these tools is, let's say if someone doesn't respond when you message them out, you can send follow up emails and schedule them if they didn't respond and you can even set up autoresponders in sequences. This makes it really simple so that way you're engaging people with the least amount of human effort, and building the most amount of backlinks. 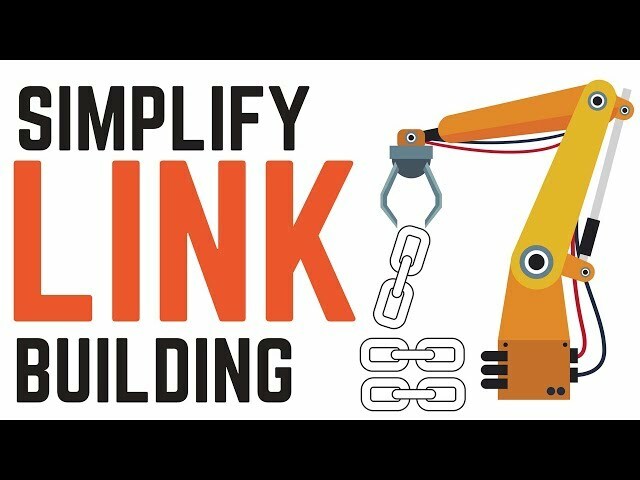 So that's it, I know most of you guys want to do link building, you try to do it, and you feel it's expensive, it doesn't have to be, if you're not sure how to set them up, or if you have any questions, leave a comment below, I'll do my best to help you out and if you enjoy this video, like it, share it, subscribe to the channel, tell all the people about it thank you very much. Learn how to optimize for Google's machine learning AI. ►Subscribe: https://goo.gl/ScRTwc to learn more secret SEO tips. 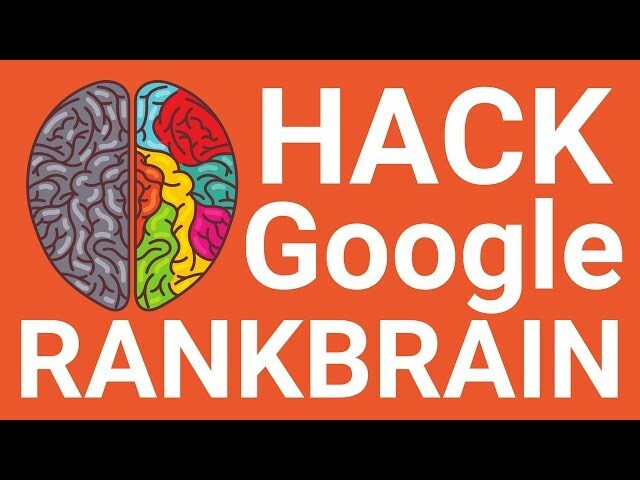 Today I'm going to break down what Google RankBrain is and how you can make it work for you. See the thing with Google RankBrain is, when an engineer used to make algorithm changes at Google versus RankBrain which uses machine learning and AI, they found that RankBrain produces 10% more accurate results than the engineer. For that reason, Google is continually improving RankBrain so that way it can adjust the algorithm to maximize what you see as a user. With Google RankBrain, they do split testing. Kind of like as a user with your website or a business owner or marketer, you're split testing your pricing, you're split testing your design, your conversions. Google is split testing the search results. They're seeing which version do users prefer, and because of that, they're looking at user experience. Are you clicking to a specific result more than others? Are you staying on that website? Are you sticking around for over a minute or two before you click back? Or heck are you not even clicking back because you found what you're looking for? That's their ideal thing. They want you to search, click on a result, find what you're looking for, and not have to go back to the search result and click on a second or third listing. Because of that, you want to make sure your website copy is fine-tuned. Not just the copy on your website or your webpage, because yes that affects how long people are reading, staying, sticking around, but also the copy within your title tag and meta description. The title tag is what you see when you do a Google Search, same with the meta description. It's a sentence that describes that webpage people are going to be landing on. So if you're using keywords like the keyword someone searched for or if you're using good action words like how to, effortless, easy, simple, what you'll find is people are much more likely to click through. Same with list-based posts. Whenever you go to a grocery store, and you're checking out, you see a ton of magazines. A lot of these magazines have how-tos and lists within their titles or on the cover. So when you look at lists like 15 ways to shed 10 pounds in 30 days, you're like, I have to buy this magazine. The same goes with your title tag. Putting numbers and lists in there is a great way to get more clicks. The next tip I have for you to improve your time on site by embedding audio and video. With the neilpatel.com website with my blog, you'll notice on the main blog page you see videos from YouTube, and you see audio files from my podcast. I'm adding it because of course; it's going to help me generate more views on YouTube and get more listeners to my podcast. But in addition to that, it keeps people on my site longer. The more I keep people on my site; the better user metrics score I have to Google, which helps me rank higher. The third tip I have for you is to improve your user experience. RankBrain isn't about hey here's your keyword density, here's a text, here's how many backlinks you have. They're trying to go above and beyond to find out you as a user, what you like and what you dislike. Because that's the ultimate signal. Not how many links point to a site, but instead if you the user find what you're looking for. So truly focus on your user experience. And the last tip I have for you is, don't stop doing all of these things. If you adjust your text and you get more clicks, don't stop there. Keep running tests every single month. Most websites, even if they're authoritative, high domain authority site, they slowly climb up, even the Forbes, the Business Insiders, most sites don't just pop to the top. What should you be charging for your product or service? ►Subscribe: https://goo.gl/ScRTwc to learn more secret SEO tips. Today I'm going to share with you how to determine the optimal price for your product or service. The first thing you need to do is look at your competition. Is your product comparable to theirs? Is it better? Is it worse? Do you have the same feature sets? Do you have fewer features? 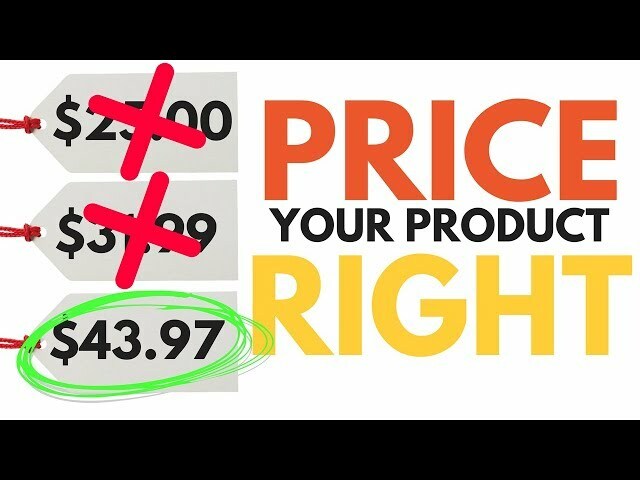 If your product is easier to use, it has all the same features, and it's higher quality, you can price your product at the same price as your competition or higher. Now, if your product has fewer features than the competition or your service has fewer features, it's not as good, you don't want to be in the same price point. Ideally, you want to be lower. It's just common sense, right? Now, the second tip I have for you and this is if you wanna maximize how much income you're making and profit versus capturing the majority of the market because the first tip I gave you, if you wanna put your price lower than the competition when your product's better, it's a great way to gobble up their market share but on the flip side, if you're trying to optimize for profitability, what you wanna do is split test your pricing. You can use Crazy Egg, and you can use Optimizely, VWO. Pick A/B testing tool. Create two pages of your product or service at different price points and keep playing with the price. You can increase it, and you can decrease it. Usually, you want to start off increasing it, and you want to see, alright, can I generate the same amount of sales with the higher price point? If you can, then you want to go with the higher price point then you don't want to stop there just because you got more sales on the front end. If you're unsure of how to price your product or service, leave a comment below with your product or service, tell me what you're thinking, and I'll give you some feedback. If you like this video, tell people about it, share it, subscribe. Thank you for watching, and I can hope to help you come up with the ideal price for your product or service. If you haven't optimized your website for Voice Search, you're already behind. ►Subscribe: https://goo.gl/ScRTwc to learn more secret SEO tips. 0:10 Everyone is starting to use devices like Alexia, from Amazon, to perform voices searches. Today I'm going to share with you how you can generate more search traffic using Voice Search. So the first tip I have for you guys is to make sure your site is compatible with HTTPS framework. If a website is HTTPS, from what we found, it's much more likely to generate traffic from Voice Search. We've noticed that over 65% of the results from Voice Search are from sites that have HTTPS. The second tip I have for you is to build authoritative domain. This isn't going to happen overnight. You're not going to be the next Forbes or Huffington Post or Business Insider, but you can still be an authority within your niche. What we found is sites that have a lot of links, a lot of amazing content, social shares, good user experience, overall, they're an authority because they deserve too, are the ones that are getting the lions to share of the Voice Search traffic. And if you, yourself, don't have an amazing site or amazing experience, and you don't feel your authority, that's okay, do something to fix it. Make your content better. Make your design better. Outreach to people who link to your competitors and ask them for a link. Go above and beyond with your marketing to be the leader. If you're not one to be the leader, you're not going to get the traffic from Voice Search. The next tip I have from you, and this comes from my friend, Brian Dean if you want to do well in Voice Search you need to make sure you're website loads fast. It needs to be precisely 4.6 seconds or faster. That's more than 50% faster than the average webpage. So if your website loads fast, you're more likely to get the traffic from Voice Search. If it loads slow, probably not going to get that traffic. Do you know how fast your website loads? Leave a comment below. If you don't go to Google PageSpeed, put on your website, let us know what your scores and how fast it's loading. Last but not least, you need to have short answers within your content. Here's what I mean by this. 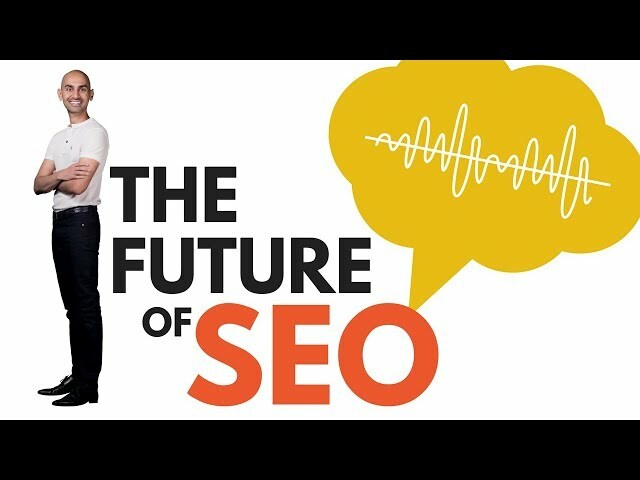 If you want to go after Voice Search, similar to normal SEO, pages with over 2,200 words perform better than pages that are 500 words, or 600, or 700. The more content you have, the more Google can index you for different terms, the more traffic you can potentially get. Within that content, you want to have quick short answers. For example, if rhyme writing an article that breaks down SEO and a whole beginners guide to it, maybe I'll have a heading called, What is SEO? Then I can have a one or two sentence answer to what SEO is. That's an example of in-depth content, right? How I can use headings in in-depth content and use short answers because that makes it easier for Google to give people the answers. 3:10 If you follow all of those tips you'll be able to generate a lot more traffic through Voice Search. I know it's not popular yet, I know it won't make up the majority of your traffic, but you need to get on top of things because eventually it will become way more popular and you don't want to be scrambling at the last minute to get that extra search traffic. So thank you for watching. If you enjoyed this video leave a comment, like, share, subscribe, let other people know about it, and thank you very much. If I can do anything to help you let me know in the comments and I'll respond, and I'll try to get you the most traffic possibly from Voice Search. More people are using Google on mobile phones than on desktop computers. ►Subscribe: https://goo.gl/ScRTwc to learn more secret SEO tips. 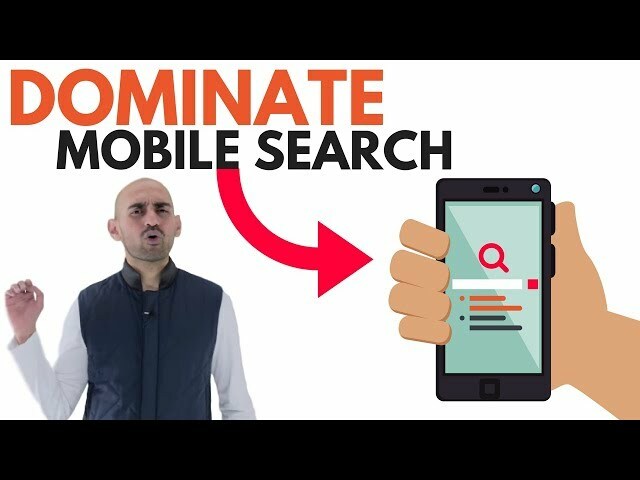 0:30 Today I'm going to share with you how to generate more search traffic from mobile devices. The first tip I have for you guys when it comes to optimizing your site for a mobile search is creating a responsive design. The second tip I have for you is to make sure your website loads super fast. I don't care if someone has an LTE phone or it's 4G, or 50G comes out; still, you could be in an area that doesn't have the best reception, so it takes longer to load web pages and other websites or web apps. The third tip I have for you and this kind of goes with making sure your website loads fast is leveraging the Google AMP framework. The Google AMP or the A-M-P structure ensures that your website is super user-friendly for mobile devices. The next tip I have for you is to make sure your header image is small. If your header's large, mobile devices aren't that big of a screen. The last tip I have for you because Google has a mobile-first index, you want to make sure you're showing them everything. What is GDPR and how will it affect your business? ►Subscribe: https://goo.gl/ScRTwc to learn more secret SEO tips. 0:10 If you guys aren't familiar with this, GDPR came out and what it is is for the whole European Union that's all about data rights and privacy to protect individuals like you. Now here's the thing, if you don't comply with GDPR laws and you're doing business within the European Union, you can get fined millions of dollars. 0:30 It depends on what the, what rule you've broken, and based on that, the penalty is going to change. But it's well into the millions, sometimes seven million, 10 million, 20 million, the fees are ridiculous. So you want to make sure that you're complying with GDPR rules. If you're collecting emails, which most websites are, whether it's the checkout page or whether it's an e-book or an opt-in, you can't just go and email these people promotional offers, even though they just bought one product from you. Because people are checking out and buying one product, it doesn't mean that they're opting in to get emails from you continually. Or on the flip side, if someone's opting in for an e-book, it doesn't mean that they're opting in also for your newsletter. Make it very clear what your data policies are so that when someone wants their information deleted, they can read exactly how you will go about deleting their information. Now, if you want a bonus tip, I would check out Privacy Shield. If you're in the US, it's a program that helps US companies be more GDPR-compliant. Again, I'm not a lawyer, so I don't know all the technical details for it, but I know my lawyer has made me go and apply for it and go through all the procedures. It just ensures that you're doing what's best for the users. 5:30 It's best to take the extreme measure now of being GDPR-compliant, not just for the EU, but pretty much the whole world. Follow these tips; hopefully, you'll do well, you should maintain the same amount of sales. If you have questions about GDPR, feel free to leave a comment, let me know, I'll respond, I'll do my best. Again, I'm not a lawyer so you may want to verify the facts again with a lawyer, but thank you for watching. Subscribe, like, and share the video if you enjoyed it. A money back guarantee can provide MASSIVE value to your brand. ►Subscribe: https://goo.gl/ScRTwc to learn more secret SEO tips. 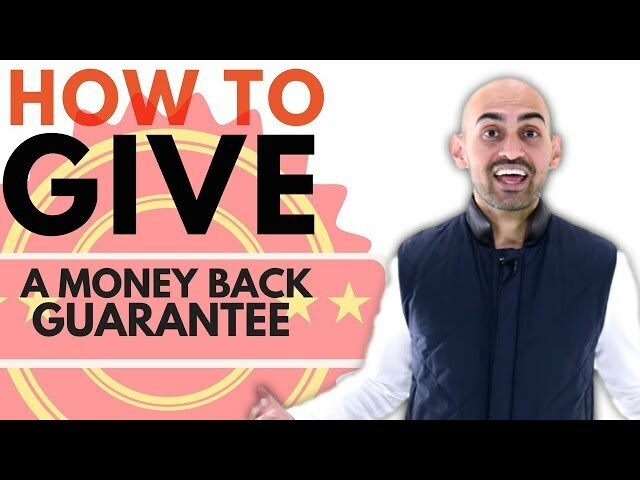 0:05 I'm Neil Patel, and today I'm going to be teaching you how to provide a money back guarantee without getting a ton of refunds. 0:25 You should be providing a money back guarantee whether you have a physical product, or software as a service because you want to create the best user experience possible. 1:00 Look at companies like Amazon, if you're unsatisfied with anything, they'll gladly take the product back in exchange for giving you back the money, so there's not much of a risk. But that's why people keep going back to Amazon because they trust them. So now let's get started with some tips that will help you generate more sales by providing a money back guarantee and of course reduce how many refunds you're getting. The first tip I have for you is, build an amazing product or service. If your product stinks, you should get a lot of refunds because it stinks to be taking people's money and duping them out of their cash. 1:40 Take the time and energy to build an amazing product, provide fantastic service, because if you do that what'll happen is people won't just buy from you, but they'll tell others, their friends, their family about the experience they had with your company and they're going to be much more likely to buy. The second tip I have for you is to provide a longer money back guarantee time frame than 30 days. 2:15 I've found out is, when I did the A/B test on the 30-day money back guarantee, versus 60-day money back guarantee, I generated around 7 percent more sales. The next tip I have for you, if you're a physical seller, like an e-commerce store, make people ship back the product to get their money back. If you're going to give someone their money back, you should get your product back as well. And what you'll find is a lot of people will want your product, they're just hoping to get their money back without giving you back the product, but by doing this, you'll also get fewer refunds. Now if you have a software as a service and this is an exit for you, don't just let people cancel and get a refund by just clicking a button. Make them email. Or if they're not going to email, have a form on your website that makes them leave a reason why they're canceling and why they want their money back. 3:40 This will give you meaningful insights on why people want a refund, and you can then take that data, make your product make your service better and it'll help boost your conversions. You can even do that with a physical product. When someone wants a refund, you can also ask them why. 3:57 Thank you for watching, I hope you're implementing these tips, they work, you don't need to do a ton of them, but follow these tips, you'll get more sales, fewer refunds. Thanks for watching and again please like, share, tell other people about the video and comment if you enjoyed it or have any questions. Growth hacks for a new service based company.►Subscribe: https://goo.gl/ScRTwc to learn more secret SEO tips. Hey everyone, it's Neil Patel. Here for another Q & A Thursday video. I'm here with Adam from https://viewership.com/. Bunty is asking, how do I growth hack a new company with very little money in a service based business? The reason I'm going to specify the function for this video is service-based businesses is entirely a bit different. It doesn't matter if it's service for B to B or B to C, but there are a few growth hacks you can do. Number one, have the phone number on your site top right. It helps get you more calls. You'll notice in the service-based business; you'll close more people over phone calls than anything else. Number two, have lead forms on every single page. I'm not joking, every single page. If you don't have it on every single page, you're not going to generate as many leads. Get a free quote, or learn how to improve your interior design, or let us help you determine which colors are right for your home. You have to give them some advice and some help. Pasquale here is treating our videos, and he does video stuff, so if he wanted more clients, he couldn't just say, hey put in your information if you're going to pay me for video services. He's like, hey if you're going to figure out what kind of videos you should film, how you should film them, the environment, if you need a studio, or you should do in person videos, or selfie styled videos. Fill out your information; we'll jump on a call. I'll give you a free consultation. People love free consultations. Those exact words, free consultation. I can't emphasize that enough. Give people some free info, some free consultation. Genuinely try to help me, you'll collect a lot of leads. You need to help and educate. You can't just pitch people all day long; it doesn't work well. Now that you got that done you should do an exit pop up. You can also collect leads from that, and educate and offer a free consultation. I'm serious; if you do the same pitch multiple times, it still converts well. And when you're doing your forms for your consultations, a lot of people like asking name, email, phone number, location, like ten different fields. You could do that, but what I recommend is the first few fields name and email, and then on the next set ask for the phone and all the other information. Take some of the tactics; I've created a lot of videos that break down a lot of marketing tactics and test five or six of them out. And don't spend more than 50 bucks on quite a few of these tactics. See which one's producing the best results, and then from there double down on the one that's producing the best. Because it is different for every business. See what's hot, write some articles, publish em on your blog. Hit up all the people who shared the original one on Buzzsumo, make sure your content's better than theirs or else they're not going to share it. But it's growth hacks like that; you don't need to do tons of em. If you do those two, you can get results. That's it for this week's Q & A Thursday video, thank you for watching. If you have a question that you want to be answered on next week's video, leave a comment below. I'll make sure I also answer every single comment below, so in case your question doesn't get answered on next week's video no worries I'll still answer it. And if you enjoyed this video, like it, share it, tell other people about it. Subscribe to the channel. Thank you very much. This SEO strategy will help you build authority, boost rank and drive more traffic to your site. ►Subscribe: https://goo.gl/ScRTwc to learn more secret SEO tips. Hey everyone, it's Neil Patel here. And we're here for another Q&A Thursday. I'm here with Adam from https://viewership.com/. This week's question is? What is the best way to approach people to embed your infographic, and should I insist that they use the embed code instead of simply downloading the infographic and uploading it to their site themselves? What's the best way to go about this? 0:30 First, you always want people to use an embed code because an embed code gives you a link back to your website. If they upload it and then try linking back, they may not do it right, you may not get the link, they may just have the infographic, and then say "courtesy by" and they put your name or your website name, and they forget to link. 1:00 If you have a WordPress website, you can use wp embed code generator, the plugin is maybe expired or not supported but it still works, and that's how I create my embed codes for my infographics. 2:40 The best way to get people to embed your infographic is to look at the most popular blog post in your niche. So if you're doing YouTube marketing, you would go to Buzzsumo, type in all the YouTube marketing related keywords. 3:00 Find out what ones are the most popular when it comes to social shares, you do the same with Ahrefs, you go take those URLs that you found from Buzzsumo, you put in those URLs into Ahrefs, or Majestic, SEO, you see the list of all the people who link to those articles, and because someone already linked to that article, you can then email each and every single one of those people. 3:50 If you want links from infographics, you gotta create the infographics that are very similar to the most popular content topics. Now you can't just jack someone's data, you gotta cite them in the infographic, give them credit, and of course, you want to add in your own data as well. And when you do that, as long as it's visual, you keep the colors minimal. The reason you want to keep the colors minimal is that way it goes along with more website color schemes, and people want to more likely embed it. 4:15 You also want to have no more than five or six main points with your infographic. They all need to flow together, tell a story. But again, if you're just creating an infographic on the most popular blog post out there within your space when it comes to social shares and backlinks, not only could you hit all those people up who already linked to that original post, and get them to link and embed your infographic, but you can also hit up every single person who shared that article, and ask them to share your content as well. 5:20 Thank you for watching this week's Q&A Thursday video. If you have a comment, or you want us to answer your question, leave a comment below. We may pick it next week. Either way, I'm going to respond to your comment and help you out. In addition to that, please, if you like this video, leave a comment, like it, share it, tell other people about it. Is crypto here to stay or just a bunch of nonsense? ►Subscribe: https://goo.gl/ScRTwc to learn more secret SEO tips. It's Neil Patel here, and we're here for another Q&A Thursday. I'm here with Adam from https://viewership.com/. This is from Ont Ology. Neil Patel, What are your thoughts on cryptocurrency? 0:30 You guys are all hearing things like Bitcoin, Ethereum, or Ether, or BTC, Ripple and you're looking at all these cryptocurrencies. Now there's a site called Coin Market Cap that list all of these currencies, the value of them, are they going up, down, what exchanges are selling them. You should check out that website. But here's the thing about cryptocurrencies, and there's so many out there to pick, there's probably well above 1,000. A lot of them are hocus-pocus; they're going to fail, you're going to lose all your money. Yes, people are like, I put in 1,000 dollars, and now I'm worth 1,000,000. Those days are gone, yes, a lot of that happened in 2017. You'll see and notice that 2018 is much slower. 2:00 It's like with anything, if you look at the stock market when it first came about, it was volatile, people would make a ton of money, lose a ton of money. The same thing happens, cryptocurrency, same way. But once the markets get saturated there's way more investors, buyers, I think, and it's not what I think, it's more so the stats. The data shows that things start leveling off, and you don't see as much volatility, which means you won't lose as much, but you won't make as much. 4:00 There are so many use cases for the cryptocurrency, but if you look at basic ways that a lot of people are using it, you can use it as money and transfer it back and forth without dealing with all this bureaucracy in these banks. And it's like, hey you no longer have to wait 20-30 days for your money to go off to people in the boonies in Russia or random places. Why can't it be done quickly? Why do you have to go through banks when it's your own money? And you know what the best part about it, a lot of these cryptocurrencies have a hard cap. So it's like, alright, you know what the maximum number's going to be out there, versus with the US dollar, the government keeps printing and printing and printing more dollars. I do believe Bitcoin is the gold of the internet. I didn't come up with that. There's a lot of other successful people, and they could be wrong, but I believe Bitcoin is the gold of the internet, and it's here to stay because it has that brand value. You should start your cryptocurrency. The 'Neil crypto.' What do you guys think? Give us a like if you agree with that. If you think I should start my own Neil coin, you can leave a comment below. 5:10 Thank you for watching this week's Q&A Thursday video. If you have a question, we're here to answer. Leave a comment below. Either way, I'll respond to your comment, maybe your question will come up in next week's video. In addition to that, if you enjoyed this video, comment, like, share, subscribe to the channel. I appreciate anything you can do to help get the word out. Is it possible to rank for tough keywords fast? ►Subscribe: https://goo.gl/ScRTwc to learn more secret SEO tips. It's Neil Patel here for another Q&A Thursday. I'm here with Adam from https://viewership.com/. 0:30 This is from Laxmi, and this says, "Hey, Neil. "I want to rank my websites on one of the toughest "keywords, best mobile phone, and best laptop." Essentially the question is, "Is this possible "to even rank in these terms within two to three months?" 1:00 Most of you have a new website with low domain authority. Domain authority is when a lot of people link to you, Moz, Majestic, Atrix, they all calculate a score from zero to 100. The higher up you are, the better. Google and Facebook, they're probably 100 or close to 100. Huffington Post and news sites like that are in the 90s. Most websites are less than 20 or 30. 1:30 Now if you're a new site and you want to rank for best laptops or best cellphones within two to three months or even six months, I hate to say it, it's not going to happen. What you need to do is stop trying to think of competitive terms. You need to find words with buyer intent, like best laptops for under $1000 because someone who's searching that is looking for a laptop to buy because they have a specific budget. You're not going to get volume. It's not that competitive. But those people are much more likely to buy. 2:00 Use Ubbersuggest, and you'll see all the variations, sorted by popularity, and you can start going after them. And you want to go after three to four-word term phrases because you can rank for those within three months, within six months. Those are so much easier to rank for. Some of you will even rank for them within a month or two. And they will generate sales. So don't try to get greedy and try to rank for best laptops. But here's the thing, Adam. If you start ranking for best laptops for under $1000, and that post starts doing well, and over time more people link to you, what do you think is going to happen in the long run? 2:30 That's the cool part about the Ubersuggest tool. It uses Google Suggests, so it tells you all the other variations of best laptops that people are typing in, and this will all help you to rank for that main term over time. Another strategy if you're trying to rank for these terms is using content clusters, and we'll do a whiteboard video on content clusters. 3:00 But to give you an overview of content clusters, let's say you have an article on SEO. A content cluster is you can have a main article that talks about SEO and how it got started and the core purpose about it and what is SEO, then you can have another article that it links to that talks about link building, another one that talks about on-page SEO, another one that talks about AV testing title tags, whatever it may be, another one that talks about all the Google algorithm changes, but content clusters are creating content around that topic without overlapping, right? So they're subsets. 3:30 So if you're talking about best laptops, best laptops under $1000, best portable laptops, best laptops to take with you when you're traveling overseas, best laptops that are lightweight. There are all these different categories. Best rugged laptops if you drop them like you're working in the field like oilfields. So you can create content clusters around best laptops. But the point I'm trying to make is don't go after best laptops. Go after longer tail terms. You can rank them within a few months. You'll do better. You'll start generating income. Now you'll have more money and time to invest in SEO. Then go after harder terms like best laptops. 4:00 If you have a question that you want to be answered on next week's Q&A Thursday video, leave a comment below. Maybe we'll pick it. Either way, I'll respond to your comment. And if you enjoyed this video, like it, share, subscribe to the channel, tell everyone else about it. I want to help you and all your friends and other people who are like-minded like you and me to grow when it comes to entrepreneurship and marketing. So thank you for watching.